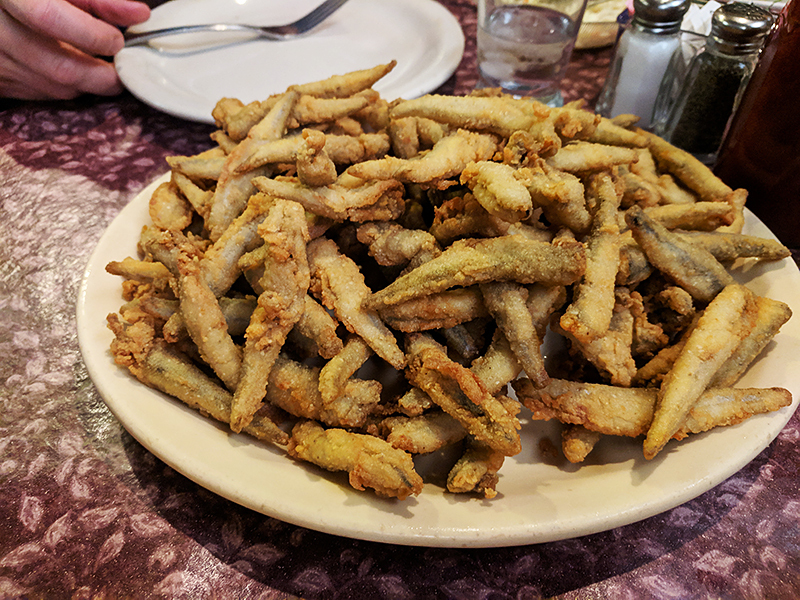 in which we do a smelt fry at ranchero supper club in the heart of whiteness in webster, mn. I love how you just constantly subvert stereotypes by eating smelt fries AND botching your html. Sometimes it’s smelt, sometimes anchovies, sometimes something described as “baitfish” — its on the menu pretty often at my local Italian place (Noodle Pudding) & I eat it as my app. Regularly. Not with tartare sauce, but with hot sauce and/or lemon. Head on. Lightly battered and fried. Sometimes served in a combo platter with shishido peppers &/or calamari.